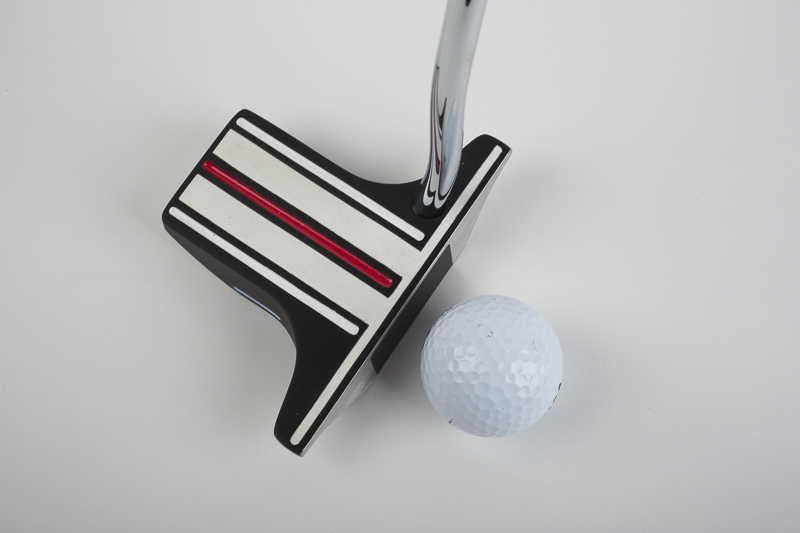 Two white lines on the outside of the two walls helps golfers position their eyes over the putter at address. The correct head position is when neither of these two white lines are seen. 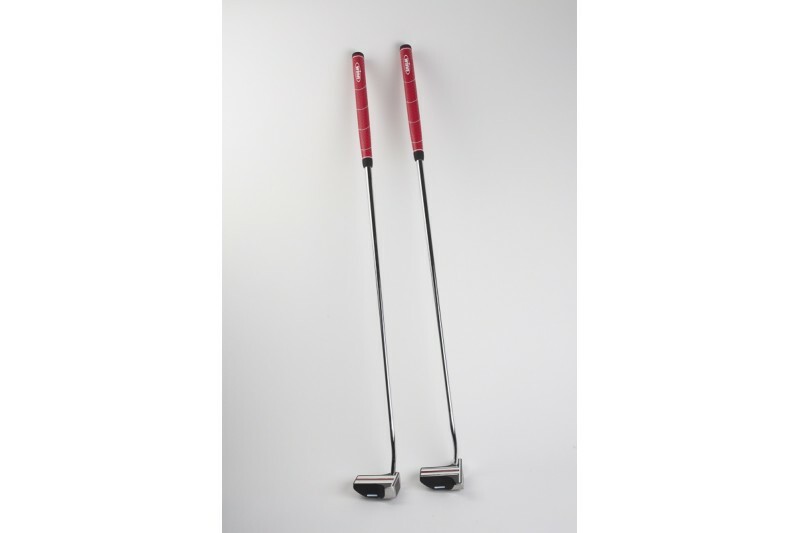 Cavity bottom and rounded blade reduces resistance from turf while putting from off the green or against the fringe. The two rails help to set putter at address. Designed cavity in bottom of putter also retrieves ball off the green. Line up the outside of the two white polymer lines with the outside of the golf ball. Line up the Red line with your target, not the face and you will be impressed with how easy it is to make a putt to your intended target. 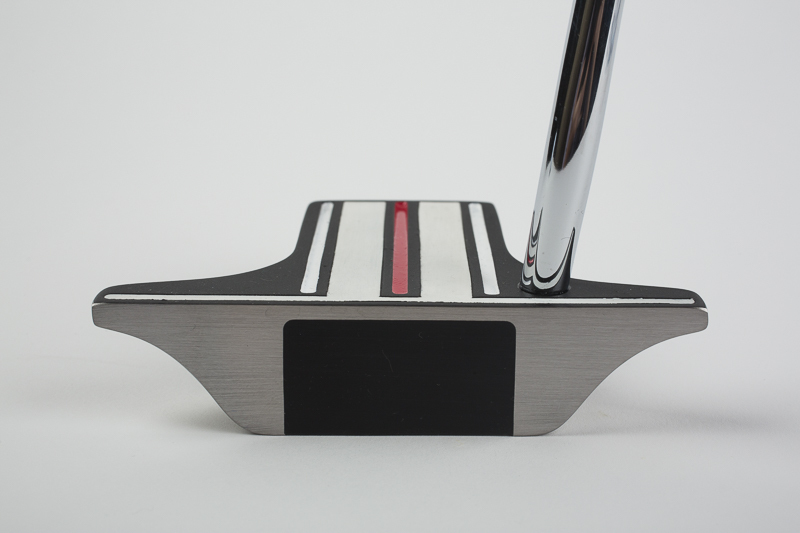 The axis of the shaft and the lie angle shaft bend is square to the putter head. 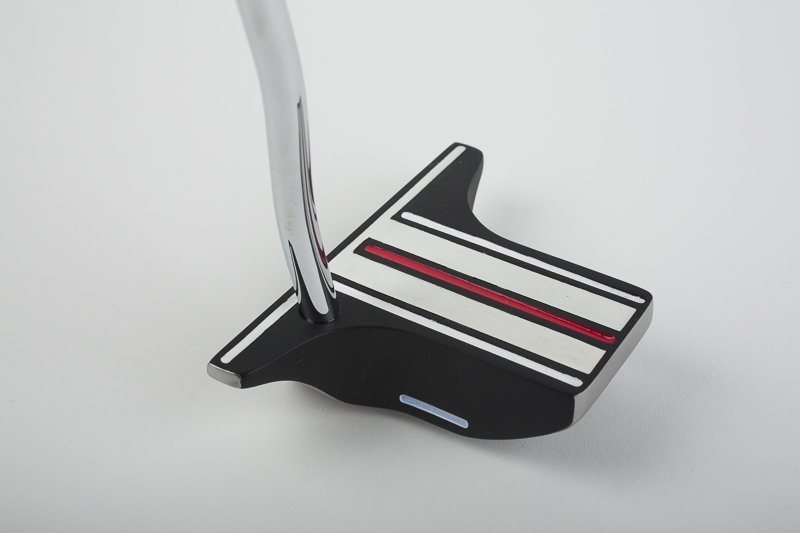 If a lie angle needs to be altered your Pro can easily custom fit this putter for you. 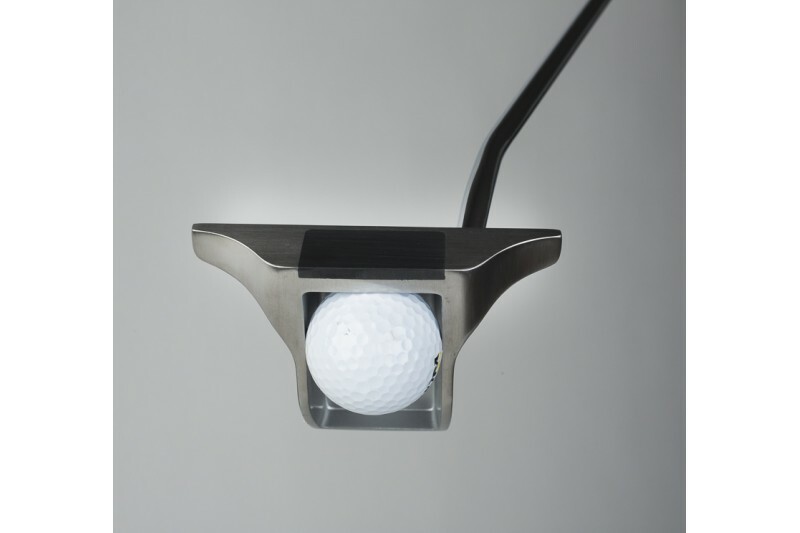 Place the putter head over a golf ball and apply light pressure downward and it will pick up a golf ball off the grass. You can increase the ball retrieving feature from the cup by ordering the EZ Wingless model. The material removed from the toe, heel, blade and cavity is strategically placed for extraordinary balance, feel, consistent distance and directional control. 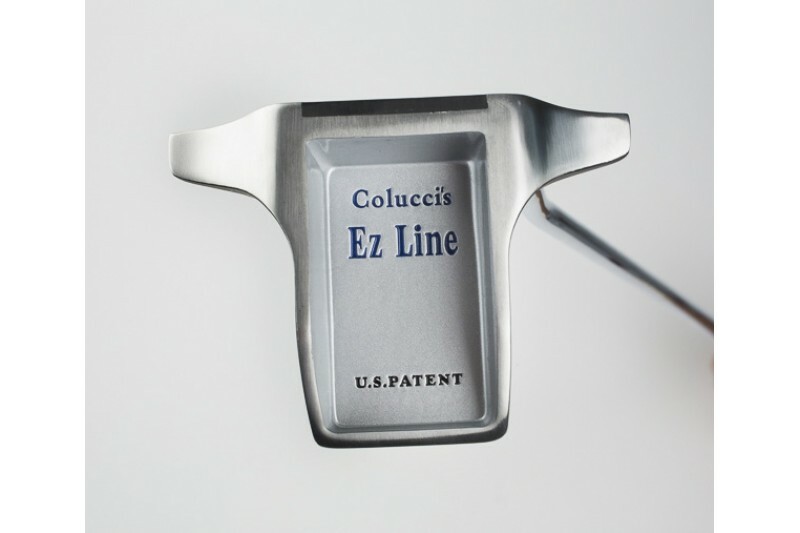 Face insert extends to the sole of the putter head. If you hit a thin putt, you hit only the insert and not a part of the steel or part of the insert.